Dr. Portugal’s medical degree is from McGovern Medical School at UTHealth, and he completed his residency and fellowship training at Tufts University School of Medicine in Boston. 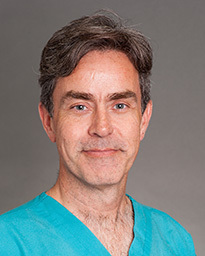 He has been in private practice for 12 years, and is board certified in Internal Medicine with subspecialty certifications in Cardiovascular Diseases, Nuclear Cardiology and Interventional Cardiology. His clinical interests include treating clogged arteries, blockages and congestive heart failure, and using minimally invasive treatments for prevention and intervention. Dr. Portugal provides patient-centered, comprehensive cardiac care. He believes in the importance of combining traditional bedside diagnostic techniques and cutting-edge cardiovascular imaging to prevent, diagnose and treat cardiovascular diseases. Twice named one of the Best Doctors in America in Cardiovascular Disease by his peers, Dr. Portugal was also honored as one of America’s Top Physicians in Interventional Cardiology by the Consumers’ Research Council of America in 2004. He lives in Bellaire with his family, and plays golf and tennis in his free time. Dr. Portugal practices at Memorial Hermann Medical Group Cardiology Southwest in Southwest Houston.